We recently went to see The Addams Family Musical. It was really funny and a lot of fun. DH is always getting tickets for us to go to see shows. It's one of our favorite date night things to do. 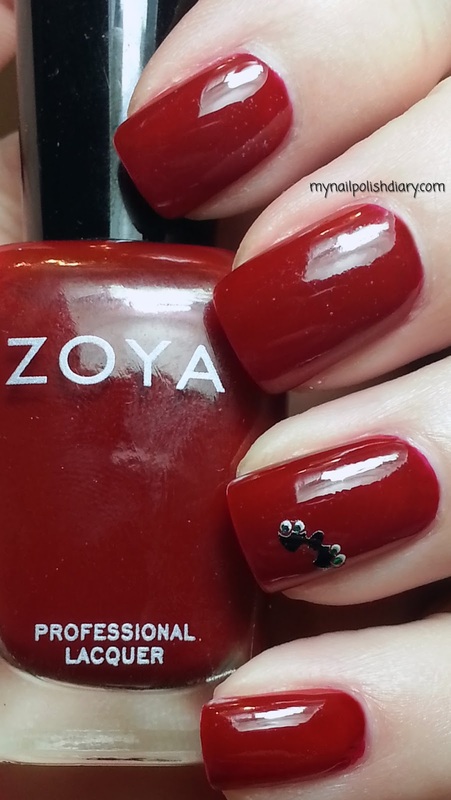 Zoya Alix is a deep brownish red creme from the 2008 Pulse and Vibe collection. It's a shade of red I really enjoy wearing. Appication for Alix was super easy and this is 2 coats with top coat. I added a bat and moon with a star for the night. 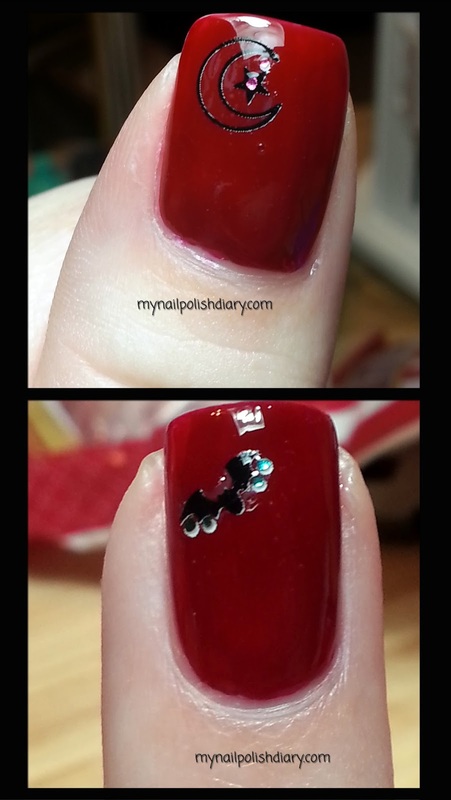 I love adding an accent nail and this seemed perfect for the show. All in all it was a great night.